Whether it's for an upcoming birthday, or just to satisfy a sweet tooth, these treats are what you need. 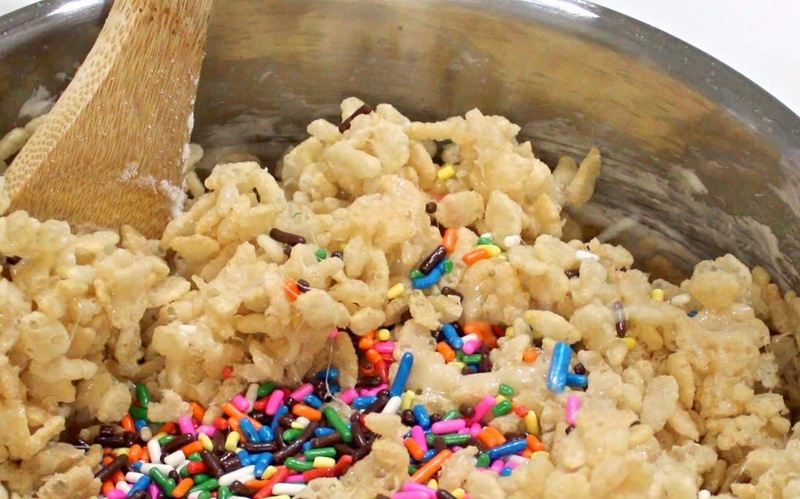 Infused with a buttery, birthday cake flavor - and tons of rainbow sprinkles - this twist on the classic rice krispie is to die for. Try it for yourself, you won't regret it! To begin, you'll need 5 cups of puffed rice and a 10 oz bag of mini marshmallows. In a pan, melt 2 tbsp of coconut oil and 1 tbsp of butter. Once melted, add in the mini 'shmallows and melt them, too! Then, stir in one cup of funfetti cake mix - the secret ingredient, of course - and 1 tbsp of vanilla extract. When this mix is completely combined, you're ready to add in the 5 cups of puffed rice. 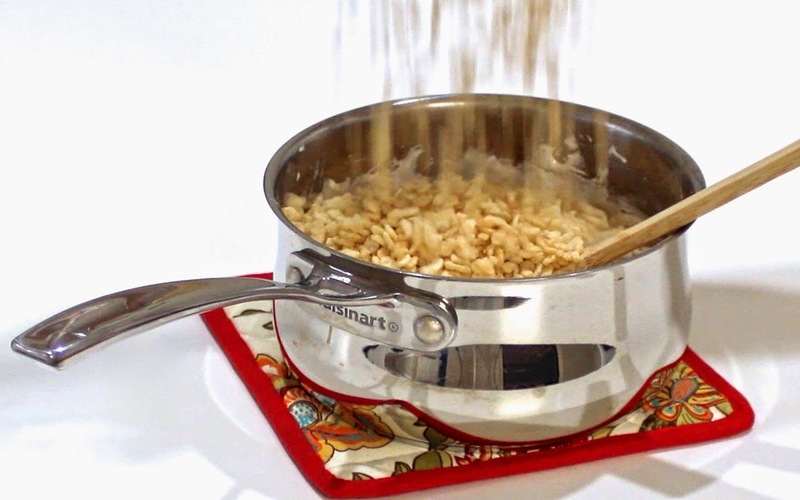 Fold the puffed rice in slowly to ensure that it does't break apart too much. Next : sprinkles! As many or as few as you'd like. Into a greased pan (I greased mine with coconut oil), spoon your rice krispie mixture. Then, use a clean hand to push the mixture flat into the pan. 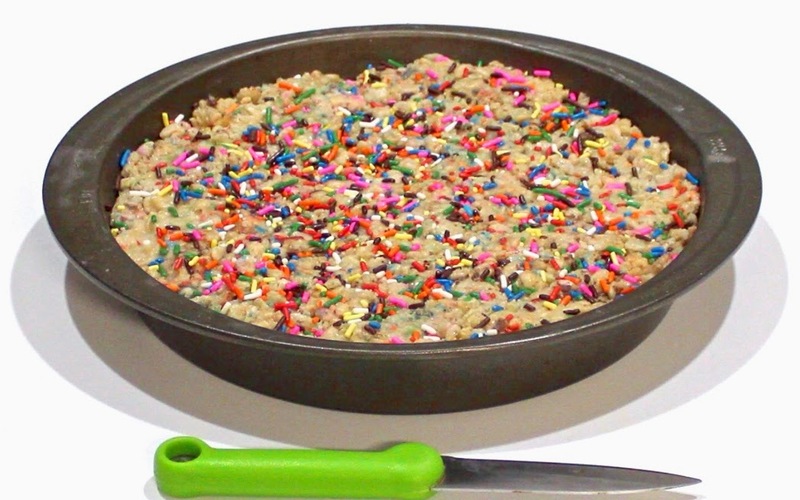 Top with more rainbow sprinkles. Heheh. Chill the rice krispies for about 30 minutes, or however long you can stand to wait. Really, make them now. They are SO delicious.